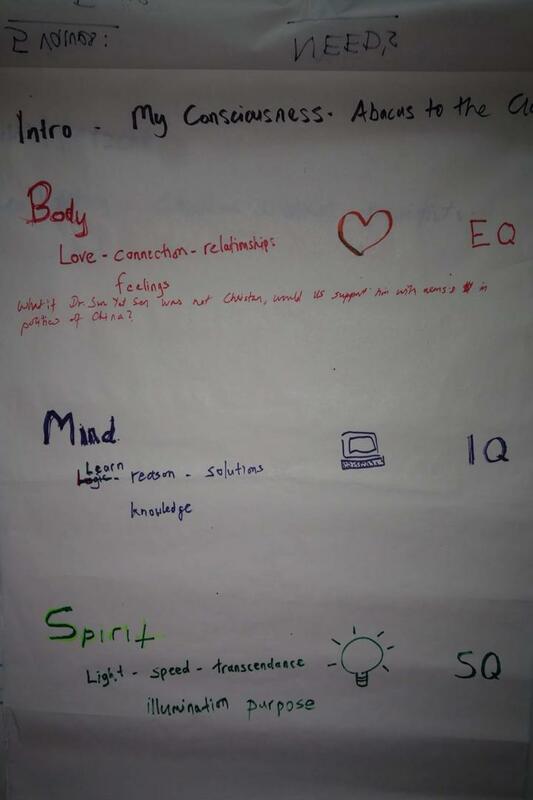 www.lovelearnlife.com was created to contain my journals that covered my life long learning experience about Life through my emotional EQ and intellectual IQ senses. www.lovelearnlight.com was created the next day to contain my journals that not only covered my life long learning experiences about Life but also Light which helps Man find his purpose or meaning in life that will require our Spiritual SQ senses as well. "Let there be Light" is a familiar phrase. 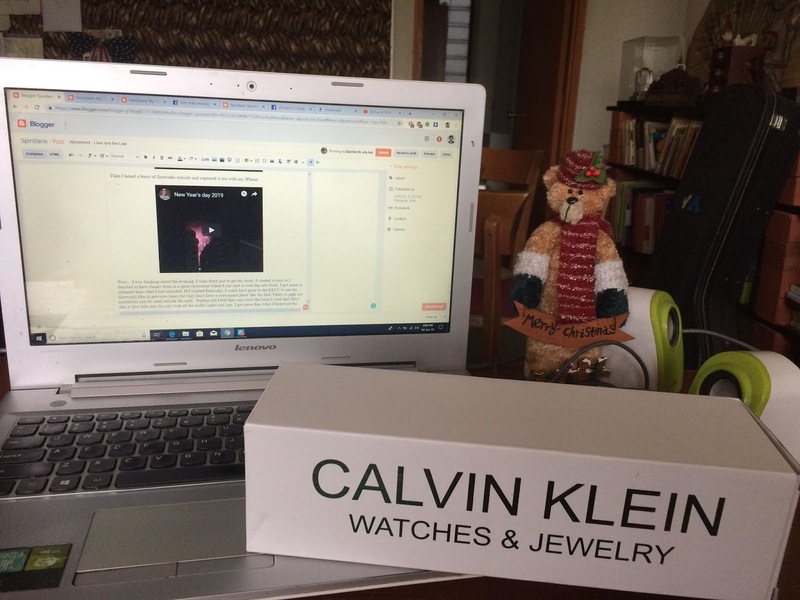 The above are the two new domain names I was inspired to create recently while in Kuantan, to contain my journals of the past 40 years at this time of writing. This east coast city of Peninsular Malaysia is the original place where I first received inspiration from my late wife to write a book that is dedicated to her. It was also a time when I was experiencing some miracles or could that be merely synchronicity of events that occurred after the mysterious crash of a Malaysian Airlines flight MH370 that baffled the world to find the lost plane? This odd chance of finding a green plastic plane on the beach while pondering on the strange disappearance of the Malaysian plane and the coincidences of events that followed through after that was quite unforgettable, recorded in detail here. When I write, my writing style tends to be very detailed or descriptive with a need to provide evidence that I am truthful of what I have shared with the support of links to my own sources as well as other independent sources. I also use my own photos and videos, as the actual party in the scene to witness the very event I am writing about. Using third-party photos, there is an increased risk of an error of interpretation even when a photo paints a thousand words as they say. The synchronicity of events that seemed to often occur in Kuantan happened just recently that helped me correct a gross error I had made of an old black and white photo not taken by me shared here. With a modern digital camera, the date of any event captured has the date taken automatically stamped digitally and saved with the image so the error mentioned could have been avoided. The main reason for such an obsession to validate truth came from my pure science background at school. When I advanced to my tertiary education, I changed to studying business which encompassed economics, law, and accounting to qualify as a Chartered Accountant. At the same time, I felt doing a computer science major as well as my accounting major though it was not a compulsory option. I just felt it would be advantageous for my future to master something that others seem to struggle with. In retrospect, I think the real reason why I picked up all the computer subjects that were optional in my business program was that I had observed then that the accounting or business studies students who took computer subjects at the university seem to fail them while those computer science students who took up accounting or economics classes seem to fail the business papers too. So it was more like a challenge for me that I would take up both as majors for my Bachelor of Commerce degree. It turned out wonderful as I didn't know much about computers in the 70s as small personal computers were not available for us to play with it and learn about its potential. It turned out that these computers would penetrate every business the world over including homes later on. Neither were brain studies very advanced then to reveal what positive effect it would have on me for mastering two different skills sets that would somehow use both my left(logical IQ) and right(creative EQ) brain to enable them to perform more optimally as one integrated or holistic brain when I entered the job market. 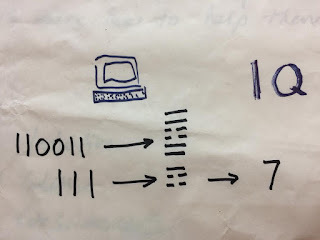 What was common in accounting and computer programming was that one had to be precise or accurate. 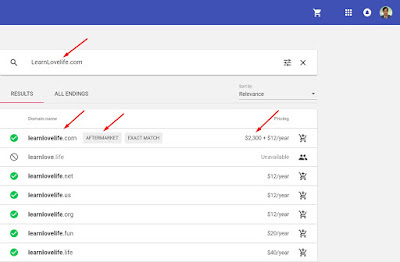 We cannot lose account of even one cent in our accounting records else we would have a problem with the trial balance report. Similarly, one cannot mistype a single code in a computer program as the computer will reject it as a 'bug' or error when processing the programmed codes. 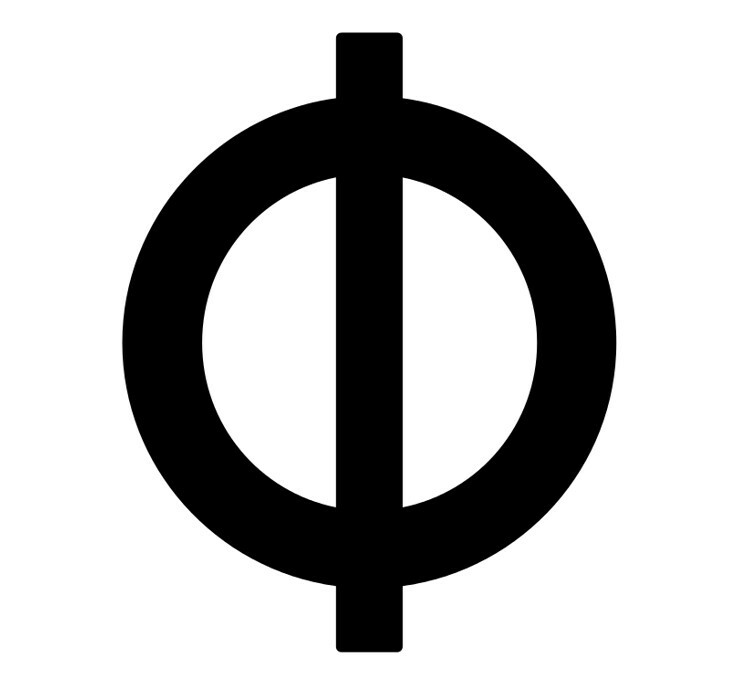 So what do I attribute the SQ part of my life to be useful for and where does it exist in? As an academic student of science before and one who was preparing to be a professional accountant with a belief in accuracy, I had the third and last entity to learn, experiment and master! This was the SQ part I was faced with in 1979, the last year of my tertiary education. 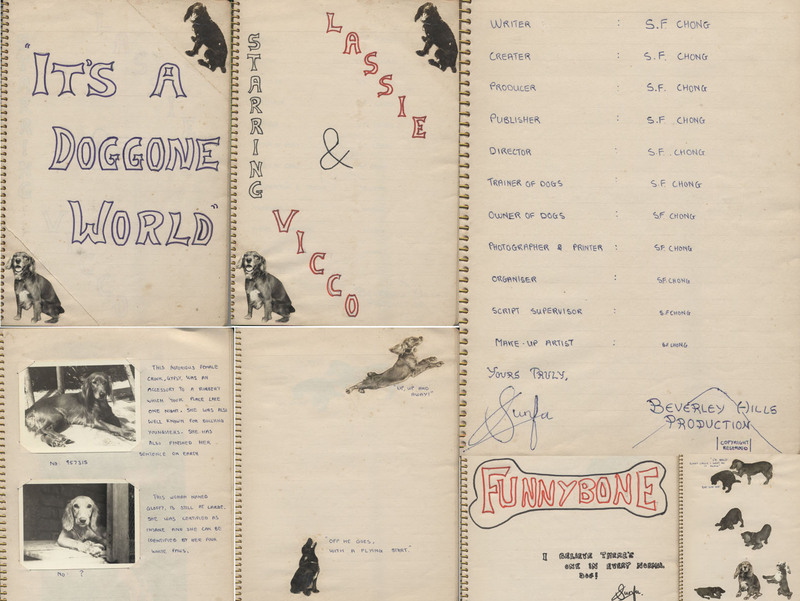 Like an accountant documenting financial information, I started documenting the results of my learning and experiment that started 40 years ago, at this point in writing, that is actually found at the beginning of this journal here. It was a live experiment of my own and how I did it and what happened to me has been recorded in the link I last shared above. I experienced a series of events that occurred that seemed coincidental to me. It was not a one-off thing that occurred because if anybody would take the time to read my true and honest account of my early experiences, the reader would surely believe I must be the luckiest man on earth to have all those sequences of events to occur before me like described in my Story of 7 that was written much later. 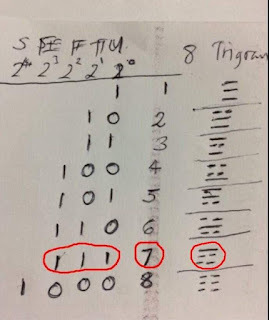 The Story of 7 would later reveal it's purpose which was to guide one to think about the law of probability, even synchronicity that may have been involved but with the good possibility that I was experiencing miracles which I started expressing in my stories of 7 with a different meaning that continued here. The advent of Facebook provided me a quicker way than journals to record events with the compliment of connecting to family and friends conveniently. It was great for putting photos online that I or others can access easily and if there was a story to provide details I can link the Facebook post with my blog journals that became optimal for my journal keeping as well as indexing needs as every post has a time date stamp. When I needed to spend more time reading, researching and writing my notes to prepare for my book, I optimized my journal keeping by just using Facebook posts embedded in my journal by quarterly posts for each year so that my chronicles over time are still maintained as shared here. I did record many miracles in my life that were direct answers to my prayer after I prayed and miracles that happened to me when I didn't pray for them just before it happened. Living a life of belief or faith in God or living as if he lives has certainly made me more aware of his presence. I had gone past the phase of just a belief but I developed a real testimony of the existence of a God who humbly asks us to simply address him as our Father in Heaven in our prayers or communication to him. So the common address to a father, albeit a spiritual one, I began conversations with him very casually and hence often as if he was there to listen to me without the need for any ceremony or procedures when my heart and mind seeks for him. Spiritual experiences coming to me in a series was not something new to me but the term synchronicity was new to me as it was learned only in my life long learning process of reading about psychology to come across Carl Jung recently who first created it. It is also referred to as Serendipity. 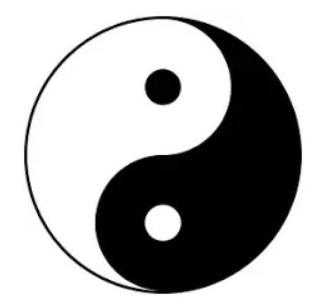 An interesting discovery in reading about Carl Jung is that he disclosed that he had been studying the Chinese Book of Changes known as I-Ching for at least 30 years before he met Richard Wilhem, the German translator of the I-Ching to English. He said, "For more than thirty years I have interested myself in this oracle technique, or method of exploring the unconscious, for it has seemed to me of uncommon significance. 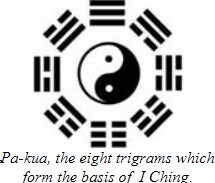 I was already fairly familiar with the I Ching when I first met Wilhelm in the early nineteen twenties; he confirmed for me then what I already knew, and taught me many things more. 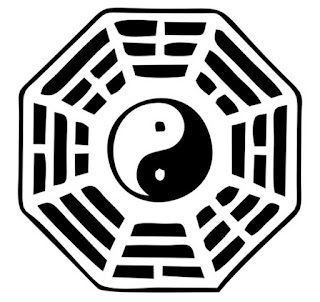 (Foreword to the I Ching). Direct interventions did occur to me too of course and strangely it would occur at a time when a car/vehicle was involved! This could be due to the fact that the car is a vehicle that I used since young besides the motorcycle, with more mileage clocked in a car of course due to its wider use and availability in any country I found myself in and under any kind of weather. 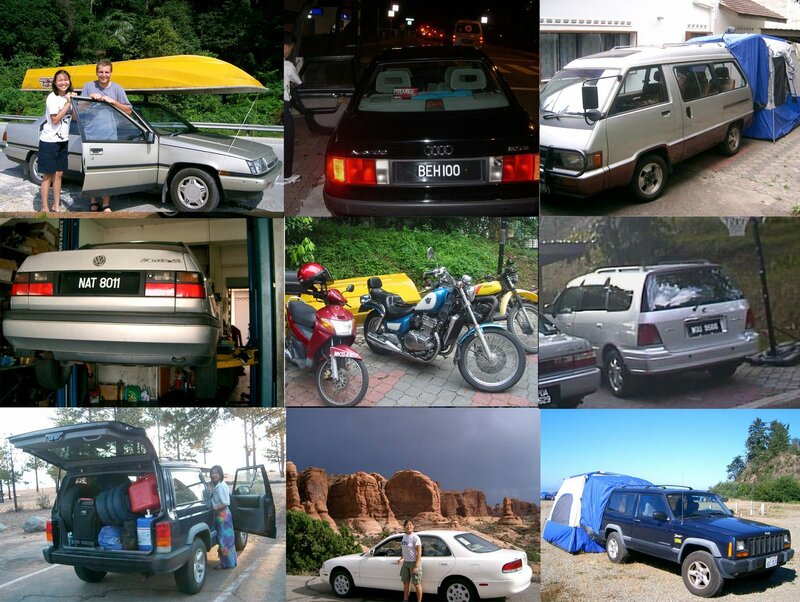 So the miracles that would involve a car, I can name them quickly with references due to my journals that will be highlighted to click if one wants to read more details. During my voluntary mission for the Church, getting an unexpected call to offer me a car that we seriously needed and how I and my companion experienced a life-saving event that was a direct intervention from God was shared in the last reference above and repeated here. 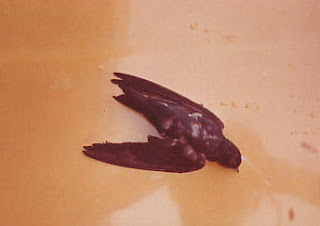 During the same mission, I had a most direct intervention from my Heavenly Father due to my days of pondering about the Holy Ghost coming down like a dove recorded here with a photo of the car as the only evidence I guess I'm allowed to share. Years after my mission, having started a family of my own very quickly as the importance of the family and family history is a major doctrine of only our Church, I was definitely saved from death again from a serious accident with a truck with pics shared here. This Spiritlane journal from beginning to end will contain accounts of my SQ experiences though many may be found in my Familylane EQ journal that has to do with family experiences, feelings, and love. The Story of 7 stories with a link shared above is an example of miracles or synchronicities shared in Familylane where due to the time factor and my desire of demureness as opposed to liveliness to share anything that is truthful/helpful which I also possess, I was not concerned that I have left out many other experiences from that journal post. 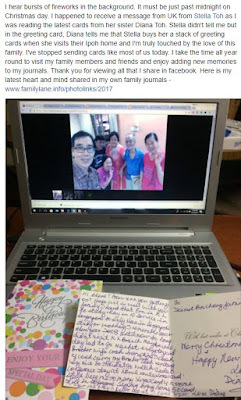 It could be that the spirit did not encourage me to write them as I am inspired to write today or maybe my age and circumstances at that time may be different from today where I have turned 60 but still feel I am just "Dad the KL City Kid". There were, of course, many miracles that I never wrote down when it involved the exercise of a priesthood power or authority I hold from our Church for blessings and healings. 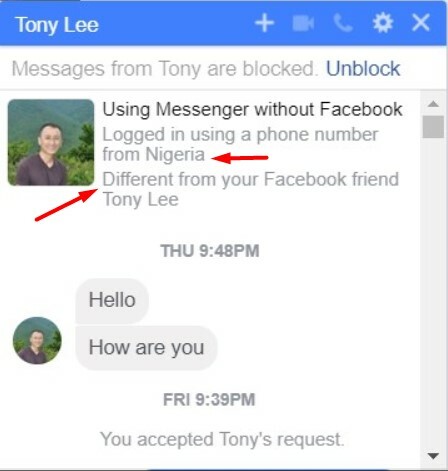 However, I will share this particular one that seems so ridiculous that I never thought to share but the spirit says to proceed. Well, it has to do with a car again. After the horrible head-on collision with the truck that occurred in 1985 when my wife Geok Lee was expecting our 2nd child, we were living on our own in Petaling Jaya. I only sustained minor injuries, the worse being a broken right forearm. Due to the fact that I was unconscious after the great impact with the truck, the hospital I was taken to in Johor Bahru JB waited to operate on me two days later when I became conscious. With an open wound during the two days after the accident, my right forearm femur bone got infected so after the surgery of putting a plate to fix my forearm and stitching up the wound, there would be inflammation or swelling later which caused them to open up the wound to clean it and would not sew it up again in case the infection was not cleared up yet. I was to continue taking antibiotics and allow the wound to close up naturally with no signs of inflammation before they would stitch up the wound again. I had to stay in the JB hospital for three weeks to almost a month for the daily cleaning of the wound. I asked to be discharged so that I could return back to family and my business in Kuala Lumpur and when they were satisfied my wound was healing, I could be discharged to return to KL but I had to visit the University Hospital daily to clean my wound and use fresh bandages until they could do the stitching again. Here are some funny stories that followed up that followed with an amazing miracle which I guess makes up the major stories of "Dad the KL City". On return to KL, my father suggested that we temporarily stayed in his Cheras home until I was fully recovered. I could borrow the spare car he had meanwhile and I could manage to drive to the University hospital by myself every day. After a month of daily cleaning of the wound, it was healing well and now I can't remember if they needed to stitch it up again or not but here is the funny part of my experience at the hospital. Letting the wound slowly heal by itself without sewing up immediately left a visible scar on my right forearm both upper and lower part. Also, the damaged area of my right forearm caused a nerve to be severed that affected my right thumb to be not able to stick up to do a 'thumbs-up' sign. Now when a professor was doing a last check up on me, I informed him of this problem. He immediately responded by saying, "Oh no problem, we can fix that. It is the problem of the nerve connection, now what is the name of that nerve again?" He repeated the question to think of the name of the nerve a few times, trying to give me a professional answer and my very quick response was, "Don't worry Prof! I can live without being able to make a right thumbs up sign!" and walked away happy to end my hospital visits and treatment! 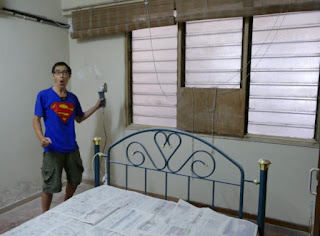 So after my right arm was healed, I drove to our single-story terraced or linked home in PJ Section 14 where we had been living in after we were married. To my shock, I saw a stranger in the house as the front wooden door was ajar but not the iron grill. I shouted loudly, he panicked and climbed back to the top of the roof where he came in and was running away on the rooftop to the back of the house. I left the car and chased after him yelling out at the top of my voice "thief thief " but nobody responded. The thief looked like a thin drug addict who could not outrun me as I am a runner besides a biker. While running along the side back lane of the houses, a lady saw me shouting and I asked her to get some help but there was no immediate response. I finally caught up with the thief and he was tired and puffing away and I was grabbing his shirt collar from his back with one right injured forearm and holding his left arm tightly to make him walk towards the main road where I knew there was a police kiosk/outpost or 'Pondok' in Malay. When I reached there, it was vacant. By that time, the thief caught his breadth and freed himself from my grip and ran away again. I chased after him again to almost catch up when he picked up a long stick from the ground to defend himself. I saw another stick on the ground and picked it up. We started sword fighting just like in the movies!!! I was mindful that my right arm was injured and was using my left hand to sword fight with him, keeping my right hand away from being hit by the thief. Now I'm a Karateka and can fight with sticks or nunchakus and soon he must have realized that to drop the stick and made a quick run of escape again. I tried to run after him but as he had rested sufficiently and had a quick start of dashing off, I lost him eventually in the back lanes and decided not to pursue. I just didn't know what to do to detain him even if I caught up with the prowler again! I related the incident back home to the family and it was then that my father suggested that we should move in to stay with him. Now I knew in my younger days, that was what he wished for as I remember he did mention it verbally to me. But in our Church culture, I had read in some books by American leaders who discourage living with parents/in-laws with a strong statement that I can remember the words, "In-Laws don't rock the Boat!" Our 2nd baby came and we stayed on for 5 years which was the time we had planned for more children so we moved out and raised another 4 boys with our two oldest girls helping, living on our own. During the 5 years, there were spiritual stories too of course and here is a miracle I never wrote down. My father loved dogs too and kept a few. One Sunday morning, our family was heading out to Church and were in a rush as usual with our 2 girls. I was about to reverse the car out through the gate but saw that one dog was behind the car and I stopped when close to get out of the car to shoo it away. When I examined the dog and touched the body, it felt stiff and cold. Now I had given blessings to the bird in my story shared above so I have some experience in blessing animals so my immediate reaction, being late to Church without thinking, was to bless the dog which I did. Immediately upon "Amen" to close my prayer, the dog just stood up and ran off so that I could immediately get into the car and reverse out to drive off to Church! I explained to my wife without much emotion and I believe by that time, my wife had known me well enough to be a faithful member of our Church to enjoy many blessings of the priesthood. As a matter of fact, one faithful brother, an architect named Tan Su Kiong who was once also a Malaysian but migrated to Singapore, who later became a Patriarch of our Church in Singapore, was the one who visited me to give me a priesthood blessing at the hospital in JB. My memory was erased from what happened at the time of the accident as well for a week's duration after so I cannot remember who visited me at the hospital for that duration. I must have been blessed to not remember what happened during the crash so that I would never have nightmares replaying the frightening near-death experience! 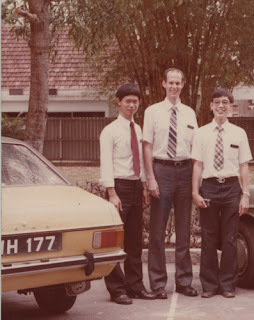 At a much later date, an opportunity came to render service to another when I was called to visit a Singaporean at a hospital in Malaysia to give a priesthood blessing. I honestly don't know who is that member as giving blessings or enabling miracles is not so rare for me to be excited about nor need I know or remember who I blessed. 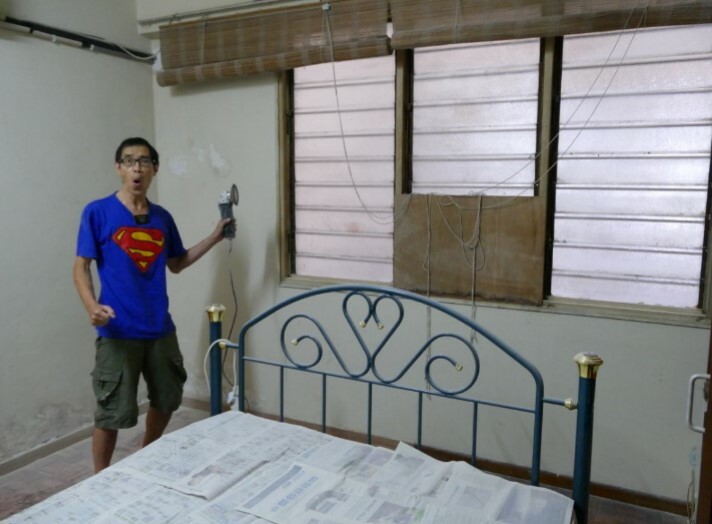 This Singaporean was in a fatal car accident too and his lungs had collapsed. I was there to administer and give the blessing without seeing his face as it was also covered. 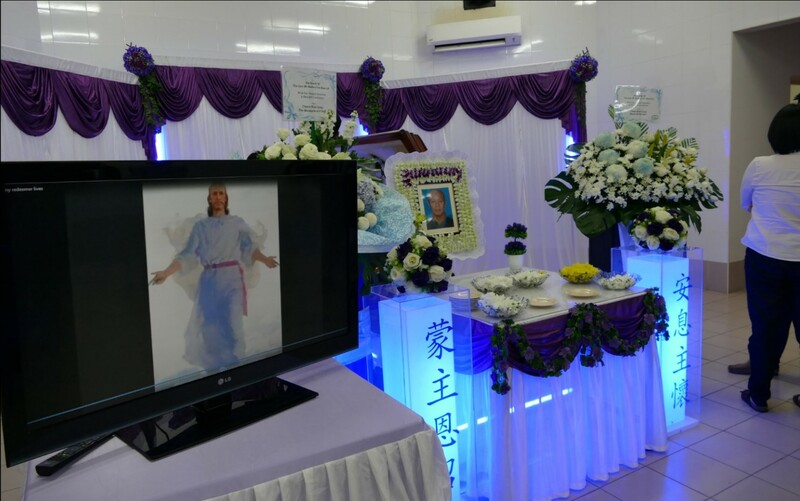 I left after doing my duty and years passed by when one day the man met me in some church meeting somewhere in Spore or Msia that I can't remember now. He just wanted to thank me personally to say I was the one who blessed him. I still couldn't remember his name then nor today or who is his family as I was just doing my duty and details cannot be remembered as well as those miracles that happened to me personally in my life that I would write them down or be stored in my memory as it was relevant to me. Most important is I felt when I was blessing others who are healed, it is a very sacred event that doesn't need be shared or remembered in the future as I have blessed many in my lifetime which are all just part of the sharing of my priesthood power and authority to others in need! As prayers have been mentioned, I like to share my belief of how prayers should be applied in one's life with this quotation, "Pray as if everything depends on God, Live as if everything depends on you!" By following this simple teaching, one would have a balanced life as is symbolic in Chinese Yinyang mythology. My journal posts are written under three different circumstances that I will elaborate today. I could be writing on some historical experience, where I already know what happened and I will spend the time to focus and recall what had happened from my memory or refer to old photos if available to bring back old emotions of the past that will give me a clearer perception of the historical event. An example is here. Then there can be a time when I'm prepared to record some important event before it fully happens or uncovers. This would be when I go beyond logic to infuse a more spiritual state to put myself in a position where I expect something to happen as I've created an optimal condition in my faith to know it will occur. An example is here. 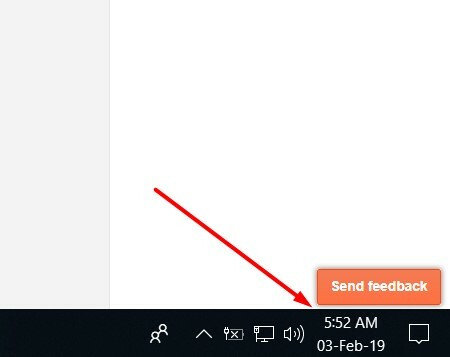 Now let me continue to move forward with the intended subject I like to share, which is not to teach the reader how to master computer technology or debug its problems as I face them. I like to mention that neural networks built with the latest scientific knowledge from AI research of Man are far behind the complexity of the natural human brain network of neurons as disclosed here. I like to elaborate more on the phenomena of Synchronicity and elaborate on how or why it occurs often in my life. I am able to do this as I have been recording in detail the experiences of my life for the past 40 years, that includes occurrences, reflections, researched information, etc that I share publicly or saved in my private database for my future private investigation or public releases. If you have viewed the above short video, you would get a good idea as to what synchronicity means. My choice of the above video is also a coincidence or synchronous event. 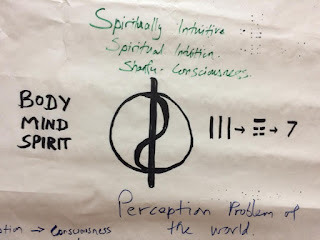 I didn't expect it to relate to Chinese or Eastern beliefs or myths as I had shared in the last journal post before this one found here where I used the Yinyang symbol with some explanations. I even gave a Chinese name to my own consciousness. That was a spontaneous act on my part to call it ShanFu-Consciousness but it is not a big deal as it's my Mandarin spelled name which is appropriate as it is My Consciousness I was referring to. In another previous post, just at the end of last year, the Chinese Year of the Dog, when I was at the height of trying to do so much, synchronicity came in my writings used to explain how I could feel the experience of everything coming together again. 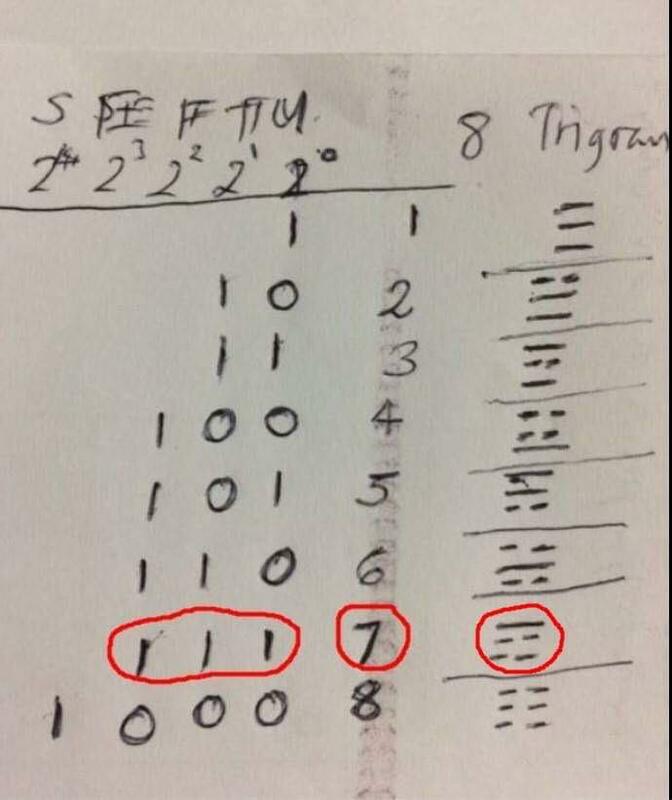 Due to the detailed and quite accurate recordings of the past 40 years of my life, with some errors here and there I'm sure, there is evidence of frequent occurrences of synchronicity during my lifetime particularly when I acquired the SQ portion of the tripartite nature of Man i.e. the spiritual part. That is all wonderful and I should feel a more complete human being but soon comes the question I've always asked since I was young but Why? Why do we have this occurrence of synchronicity? There can be many reasons depending on the Consciousness of each person. For me, I think it helped me understand the meaning and purpose of my life better. In the link I shared above of my previous post, it mentioned my attraction to a writer named Jordan Peterson who highlighted the term synchronicity to me. I believe he influenced me to start this post to link it to the experiences recorded in my journal especially when I created the Story of 7 to record coincidences and even miracles that had become so abundant in my life that I have not found the time to add them to that special post but are recorded in various journal posts of mine when they occurred. For example in the passing of a dear old pioneer member of our Church named Anthony Lim who enjoyed many miracles in his own life that I was aware of, I did take time to share some past and even current miracles that occurred in the last days of his life and after when my thoughts were focused on him shared here. With the world wide web www, my personal consciousness was augmented with the world's collective consciousness or even the unconsciousness that Carl Jung would refer to. 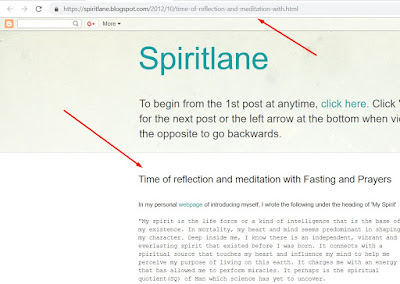 I found a very inspiring writer about Synchronicity who gave excellent information as a professional psychologist shared in the podcast where one can listen to his verbal explanation here. Some may prefer to read what he says instead of listening to a long recording. This option is possible as one just has to click "Read Full Transcript" in the webpage where I found the podcast here. 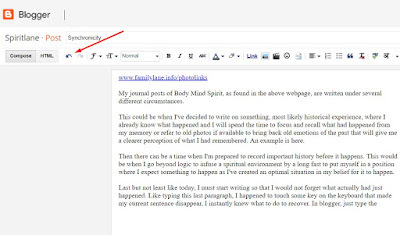 If the reader can click all the 'here' links I have shared in this journal post of mine and know how to return back to this main journal page to continue the flow of my sharing, I believe the reader would have learned to appreciate how much knowledge one can gain using the technology that is in our hands today. It is literally correct to say that due to the invention of smartphones that we use today! But why does one only choose to use man-made technology alone to gain more knowledge when within one's brain/mind is a natural gift from birth that can help one gain all the knowledge desired of this world that we live in and even maybe more beyond? This Spiritlane journal of mine was started first to make sure my spiritual experiences would be recorded so that I may not forget them or the details. It is also for the purposes that others may benefit from what I have sought to learn from Life where "everything is possible." It started with questions of what, how, etc with the most challenging being the why question that a child always ends up asking after all the other questions are answered. I am glad I persisted to find those answers and continue to enjoy learning more to figure out all that is happening in our fast-changing world in my home country as well as abroad. It is fast Sunday today and I woke up with a dream of my wife Geok Lee again which is rare. 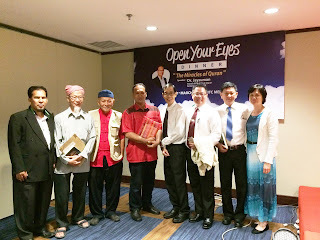 The last significant dream was in Kuantan on the crash of MH370 shared above. I woke up early to read our Come Follow Me manual of Pg 34 covering Matthew 6-7. When I came to Matt 6:28, I immediately went out to the living room to play this video from the journal of her funeral. 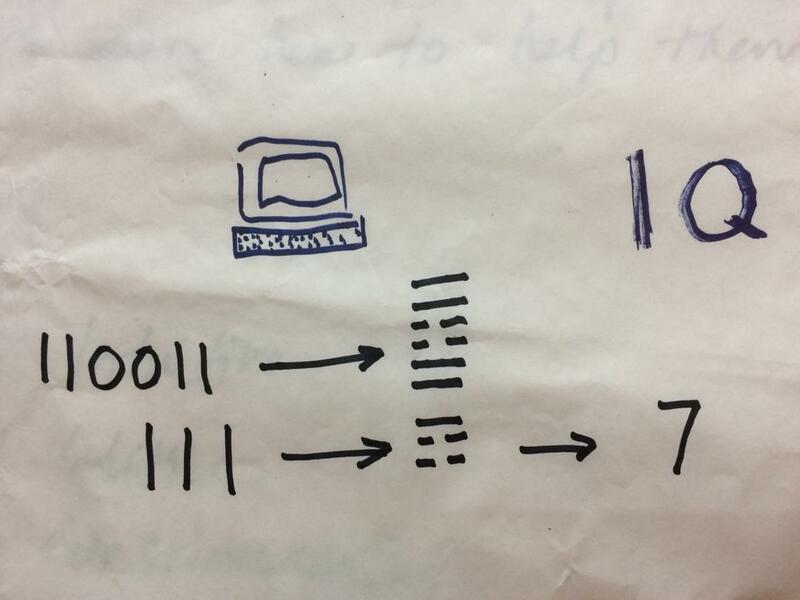 Below is a draft of things that went wrong using computer technology that includes the internet as I work on this post which is not to be in the main content. It is therefore left as a footnote at the lower part of this post for me to follow-up with later. It is also left on this post perhaps for others who may want to learn more about how a Life Long Learner like me never fails to learn in any situation I experience, technical or not, for my own future betterment. This perhaps is reflective of my Consciousness that we can learn from mistakes or effects of our seemingly imperfect world of chaos to eventually turn them into becoming more perfect or optimal, or simply best possible order! I had spend past weeks in the East Coast working, rushing toward the finish line for my book project which has become very huge but with Synchronicity, Everything Comes Together! Some crazy things happened and I like to share them now where it is easy to remember as not only did it happen recently, I made notes with my screenshots and kept them in my computer folder with an indexed title that I can find it back at any time to share here and elaborate more when I find time to add to this footnote. The above technical problems were all resolved before the end of this journal post. Time is only measured unto Men is a saying with the understanding that God who created the universe and everything in it is not restricted by measurements of space-time that we humans use. 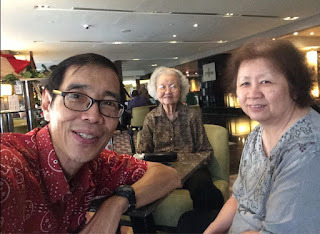 So as I am a real human being, I have to note that a period of time has gone by where I did not add posts in this blog post journal that started on Sunday 3 Feb 2019 when I was back in KL from Kuantan which stopped on 3 Mar 2019 when I was back in Kuala Lumpur. Using back my senses of space-time, I can remember the reasons for the gap of writings in this journal. Firstly I had already made my decision towards the last quarter of last year that I would reduce my social media writings to accelerate the completion of my book. I responded less in the Facebook media, informing everyone where possible that my book writing had to take priority. 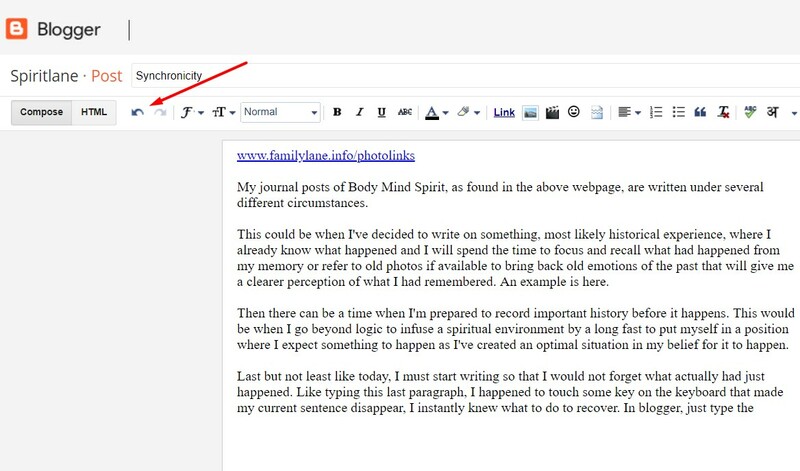 Nevertheless, for chronological recording using photos or even uploading videos with some brief narration, using Facebook was an excellent tool to meet my needs of journaling. 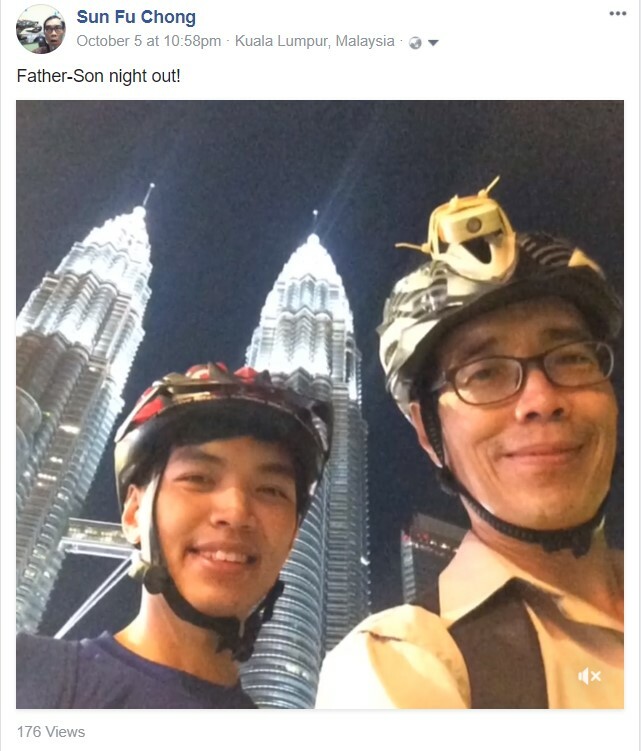 The following three videos in a single post shared on Facebook was done on my first Sunday of 3 Feb back in Kuala Lumpur. One top video was a prayer that a couple of friends had asked me to share. The 2nd is recorded from my balcony early on Sunday morning to feel that the plants, animals or birds of nature are provided for. The 3rd video was about my surprise gifts of cash and an expensive watch from three different women seem to coincide with what my late wife was communicating to me i.e. I am provided for just like the lilies in the field and the birds in the air! The following Facebook post below shows the number of visitors or events of different people I was involved with within just a month of March alone who are mainly from overseas, 4 different groups from the US, 1 couple from Australia and 2 separate persons from India with some locals. It was so many different people who are blessed by God who were showing love and kindness in meeting the needs of one another. It reflects how I save time and space to squeeze one month of activities of visitors in just one post! The mystery of I Ching of the East and Integrated Information theory of the West was solved before the end of this journal post. How did all this occur so quickly? 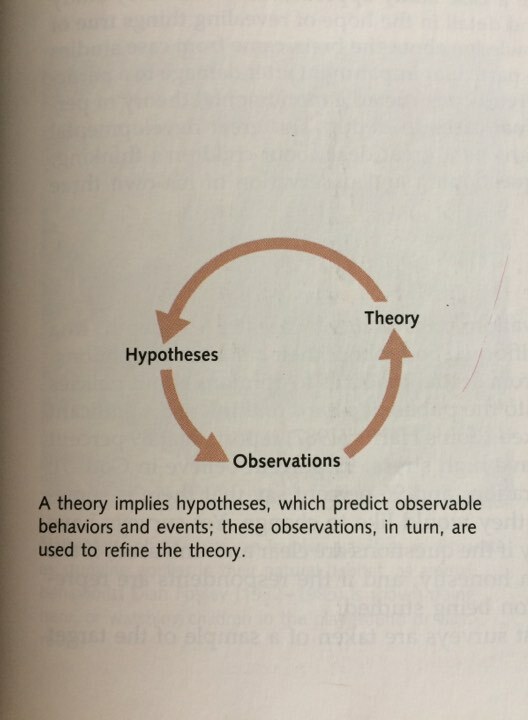 To conclude on the science of Psychology of the West which I was covering in this post, I have the following screenshot extracted from a book of my oldest daughter that she used when she was studying psychology at an American university in the early beginning of our new millennium. On page 2 of the book, one can read this statement, "Since the 1960s, psychology has recaptured its initial interest in conscious and unconscious mental processes through studies of how our minds process and retain information. 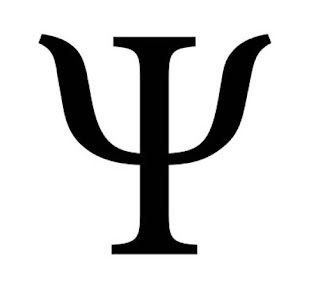 To encompass psychology's concern with both overt behavior and covert thoughts and feelings we will define psychology as the science of behavior and mental processes. 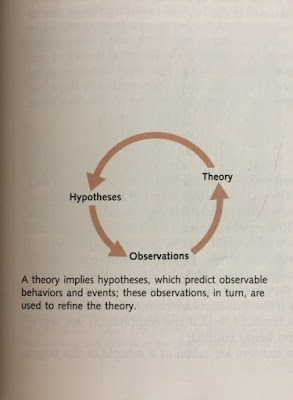 A theory implies hypotheses, which predict observable behaviors and events; these observations, in turn, are used to refine the theory. "Truth is arrived at by the painstaking process of eliminating the untrue"
"My deeply held belief is that if a god anything like the traditional sort exists, our curiosity and intelligence are provided by such a god. We would be unappreciative of those gifts ... if we suppressed our passion to explore the universe and ourselves." Not real or mock copy in the photo of my book cover with draft pics, symbols, and words only. Starting off a new week to give a talk at Church on Sunday 29 April 2018. A phone call came from Brother Reed a week earlier, a counselor in the KL branch presidency, asking if I could prepare a talk on the topic of Atonement. Despite being busy, I responded positively to accept the assignment. Despite being busy I still took on the assignment as I seldom refuse a Church assignment. Furthermore, the subject of Atonement is quite straightforward as it is a key feature of the Gospel of Jesus Christ or purpose for the Savior to be born in the Meridian of time. Little did I know that I would follow up with a whole blog post about this topic! Why? The simple answer is it stirred up My Consciousness which in simple terms means my awareness. 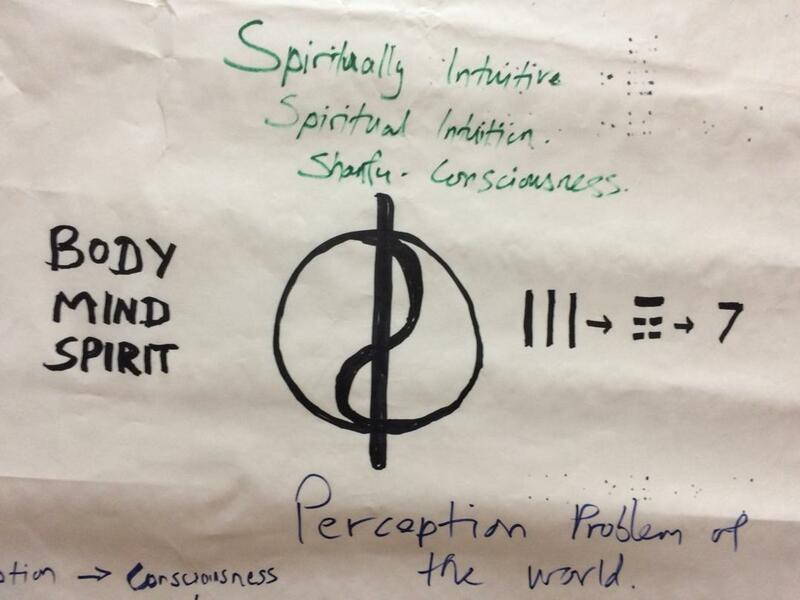 Now I have discovered my awareness revolves around 3 domains of life I've grouped under Body Mind Spirit(BMS) where I later learned Plato, the famous philosopher of ancient Greece, identified the tripartite soul of Man as one with Appetites, Reason & Spirit. 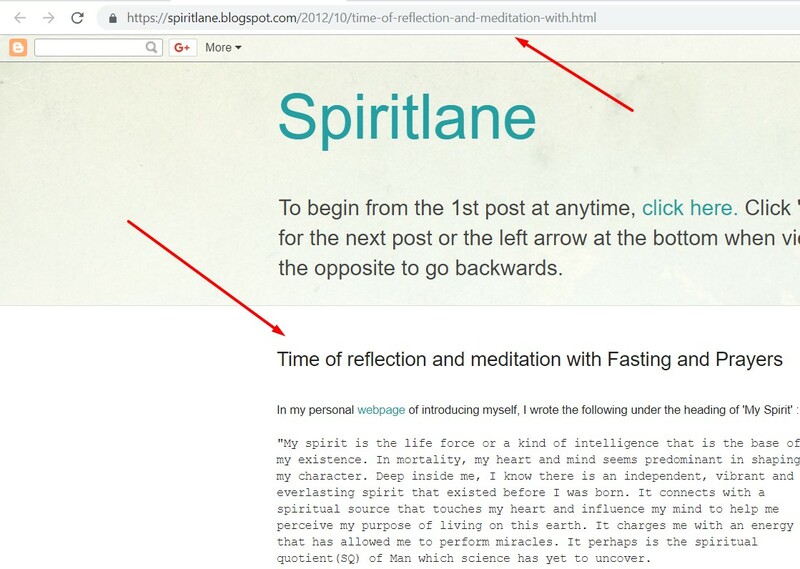 I was just a Chinaman from the East who named the domains BMS in relationship to my 3 journal blogs I had started : Familylane(Body), Fastlane(Mind) and Spiritlane(Spirit). I was inspired to draw 3 columns with brief word descriptions in each column on a napkin while I was in a New York City cafe with a friend in the year 2005 journalized here. 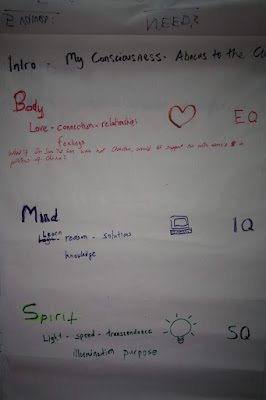 So what are my Body Mind Spirit activities that have kept me extra busy since the start of the year? Fortunately, I learned how to use a camera from my youth to produce photos which previously were on paper that have become digital today. They are fast visual reminders of the myriad of activities that I find myself involved in to be able to recall them later without having need of any written notes nor a proper camera too as our phone is also a camera today! A picture indeed paints a thousand words and my journals link events with themes adding a sharing of my feelings and thoughts from my Heart and Mind as well. It is my world of Perception, Action & Reflection, a way to achieve PAR Excellence whenever possible through what is called our Consciousness. 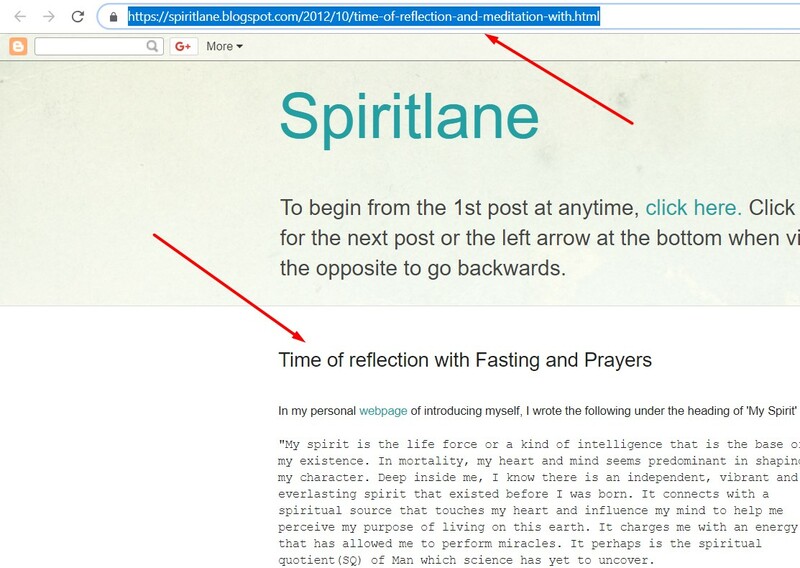 So here are some examples with snapshots of the activities of my life under the 3 domains during the recent past months prior to starting this blog post and hence it's potential influence on my Consciousness revealed in what I write in my journals. Sweating it out in physical work or that stretches my physical self. I have been doing minor renovations and clearing/organizing stuff in the apartment to get it ready when all my children will gather in KL for a family reunion this October month. Going out to do some physical exercises like cycling at the same time meeting the needs of upkeeping good relationships with other physical beings close to me like my son, creating positive emotions, which is kind of a multitasking activity in itself besides the exercise for health. 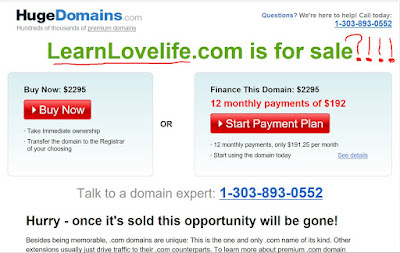 It can also be just going out to meet people or friends for real physically instead of doing it online in cyberspace alone that is popular today. An old friend and mother came to visit all the way from Washington DC where my late wife and I had visited them previously. Keeping up my reading of the volumes of books in my personal library of all kinds of topics and book sizes and the unlimited library of online books and latest researched information. Taking the challenge to write a book on Human Consciousness based on my own, created with deep and wide personal experiences and researched knowledge of history, religion, philosophy, the sciences, and even technology from the time of the "Abacus to the Cloud" computing era of today. Accepting an invitation from a Muslim organization building inter-faith relationships in the country by attending a dinner and talk session on the Miracles of the Koran. The need to give a talk at Church always causes me to pray and read scriptures to give me the Spirit to cover the topic of Atonement I was to speak on. I try to make it a unique presentation in sharing the same Gospel principles already taught often at Church. I would remind myself not to be stuck with routines but follow the Savior's teaching in the story of Martha being too busy with her routine in the kitchen of preparing meals instead of spending precious time with the Savior when he was in their home as her sister Mary was doing whom the Savior praised. At the start of the year 2018, President Monson passed away When President Nelson was officially called as the new Prophet, I watched the live press conference held for the media to meet the new First Presidency of the Church and to allow them to ask questions. This was extraordinary as no Prophet of our Church had done this before when newly called to this sacred position of leadership for the world as a representative of the Savior Jesus Christ! It was astounding to hear the first question of a reporter from the Associated Press thrown to President Nelson that was related to the standing of the Church on LGBT issues meaning the lesbians, gays, bisexuals, and transgenders collectively. One can view the recorded live press conference here, especially on the part when this first question was asked as mentioned earlier. I have timed the video to start just before the question was asked. President Nelson gave a good response followed by his counselor President Oaks but when President Nelson put out his two hands to symbolize the need to balance the love and the law, it created an impression in me not to forget these two words of the "Love and Law" of God. For clarity, I even searched the Church lds.org website with those two words to find President Oaks article in Nov 2009 on the topic including this video published in Oct 2016. This is my habit of a person who likes to link all truths together and to record as accurately as I can myself on the things I am a personal witness off with as much detail and accuracy as possible using all resources I have including my own personal skills. In clearing house in the apartment, I opened a drawer that had my wife's old documents to find the two larger envelopes containing the old letters we had exchanged frequently early in our courtship, seen as the stack of smaller envelopes above, that started when we first met in Singapore again after my mission in June 1982. 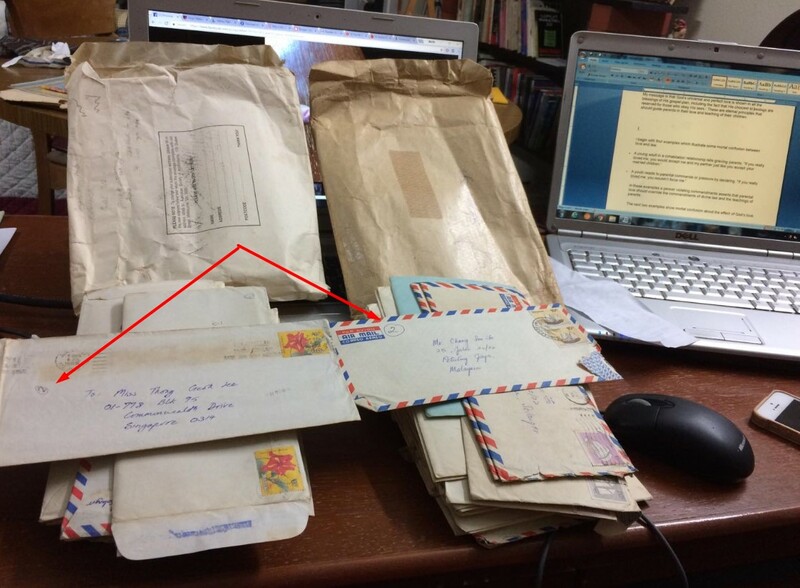 My letters to her are on the left pile while hers to me are on the right distinguished by the different national stamps on the envelopes. I guess I married a wife who would be as detailed as I am to keep documents of remembrance for some future time. 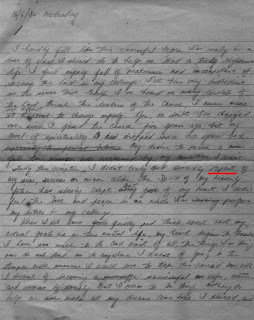 I was aware that she had kept all our letters as shared in the year 2005 when I started recording our courtship experience in this same blog found in the following relevant posts: My post with copies of the first page of our letters to each other with her response in her own blog at Retro 1 and Retro 2. 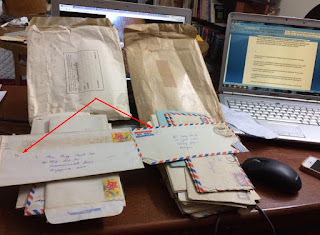 With the stack of our correspondence letters of ours that discovered, I also found her paper note journals dated 16 June 1982 which I was never aware of as they were not shown to me. It did help me realize why she had so quickly fallen in love with me! She was depressed for not being able to qualify to enter the school of architecture at the prestigious National University of Singapore (NUS) which was her dream career/work for herself. The letter explained that she had slacked in her studies due to a puppy love relationship with a non-member named Jeff who didn't go to Church nor liked her for doing so. Now she did mention to me the name of Jeff as a past boyfriend but I didn't realize it caused her so much stress and when she didn't qualify for her dream opportunity of the future, she felt she was a failure, having never failed to achieve all the things she would target and work hard to achieve. She got depressed and wrote to her brother Roy already gone to the US to study, to her other brother Clayton in Australia and even to her Branch President named Mark Israelson to share her disappointment at herself, saying she had never failed before to achieve anything she had aimed and worked hard for in the past. I didn't read the actual letters she had sent off but she was diligent to write in English a draft of what she was going to write in each letter later. This was probably due to the fact that she was being more a Chinese educated student of the school of Hwa Chung with less proficiency or confidence in the English language I suppose. Maybe it was just her meticulousness like I am too in keeping documents for future references to write my Chronicles of Life! 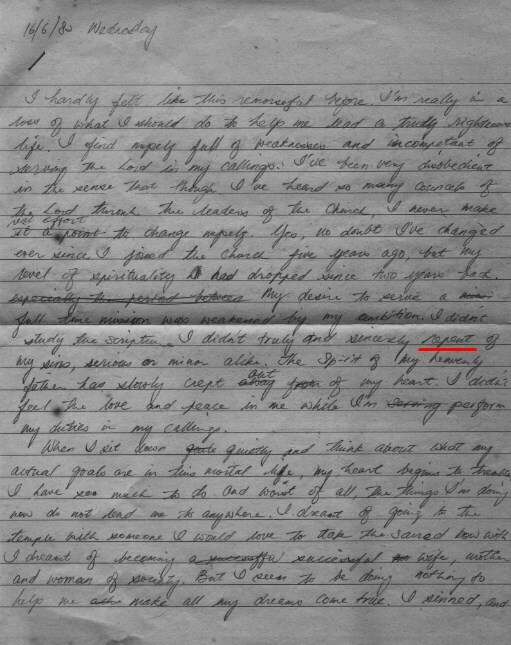 The keyword that I marked in her writings was the word "repent" in the sentence saying "I didn't truly and sincerely repent of my sins, serious or minor alike." To clarify, I know she didn't really commit serious sins and the context of the rest of the paragraph makes it clearer...."The Spirit of my heavenly father has slowly crept out of my heart. I didn't feel the love and peace in me while I'm performing my duties in my callings." She was indeed depressed, not for a real failure in life that most of us would regard as a 'failure' as she did qualify to study in NUS for a social science course but not in architecture that was the desire of her heart and mind. She had also expressed in her writings to both her brothers overseas that she felt family and friends treated her negatively. In her own words, "When they asked me if I was making any plans for my studies, I felt that they were being insincere in asking and they were trying to insult me! That's why I thought of leaving Singapore for my studies in order to run away from all these problems, of course not forgetting the other reason was that I wasn't granted what I wanted in N.U.S. Deep inside me, there was a voice which constantly whispered to me that God would never forsake me during my hours of adversity. And sure enough, I slowly got over with the whole thing and was able to regain my hope of living which was almost lost at one stage....... Perhaps all those trials and tribulations I've been through were meant to teach me humility and courage to accept failures and oppositions. If on the other hand, if things did not happen the way it had, I might not be able to meet this man whom I love so dearly. The Spirit is taking me away from preparing a standard routine talk! Indeed I am grateful for this spiritual being that helps me remember all the things that help me stay close to the Savior and be careful of the idolatry and temptations of various forms in our modern world, especially when they lead to addictive behavior involving a change in the chemistry of our internal physical bodies. I am humbled by the Savior's perfect love and sacrifice to feel that I must constantly be willing to repent of my mistakes and sins throughout my life as I know I am far from being perfect. Finding the letters of my wife in Love with me and reading her expressions of the need to repent for little imperfections in her life humbled me. I had always known and had a personal testimony of the Savior's Love for us in his sacrificial act of Atonement in the Garden of Gethsemane that would enable Man's sins to be forgiven if only we are humble enough to repent of our sins. 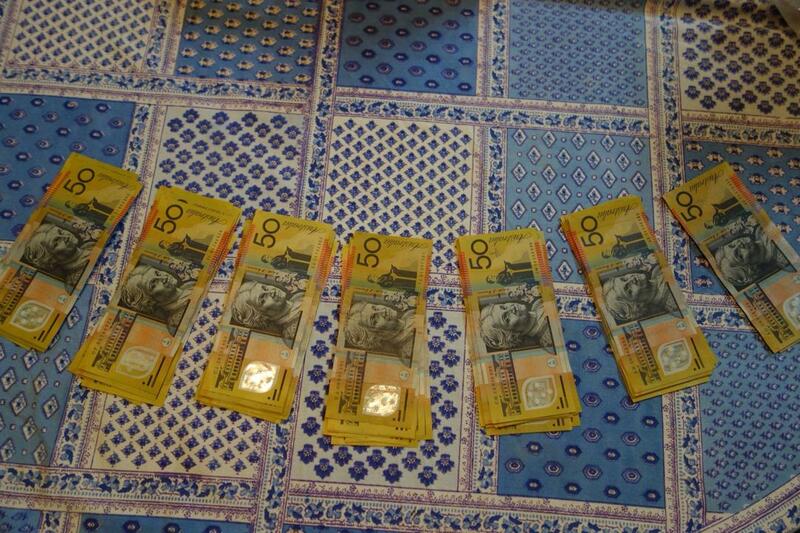 I was given 15 to 20 mins maximum for my talk. I actually brought with me the two large envelopes and showed it to the congregation to give a 'show and tell' introduction to my talk. It was to highlight how much love we had for each other in our short long-distance courtship expressed in our snail mails of old. I stated the basics of why an Atonement is necessary which is that the Love of Our Heavenly Father provided us a Savior, his only begotten Son, to suffer for our sins to enable us to return to live with him. 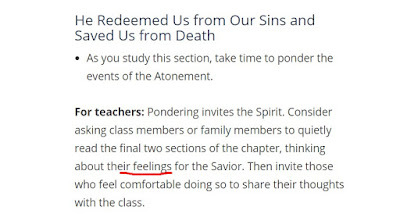 I expressed my feelings about the Savior and his life by relating a Sunday school Gospel Principles class I was asked to teach at the very last minute that happened on a recent Sunday before the talk. It happened as the number of Chinese speaking attendees had filled the room so the Mandarin-speaking teacher asked me to teach the English lesson of the same chapter 11 on the Life of Christ found here. Luckily there were only a few English speaking class members as about halfway through the class, as I was teaching more from my heart than reading the manual, I couldn't control my emotions as tears started flowing down my cheeks. I had to excuse myself to the Men's restroom and asked one of the Sister Missionaries present to take over for me momentarily to return after I cleared my eyes and nose! 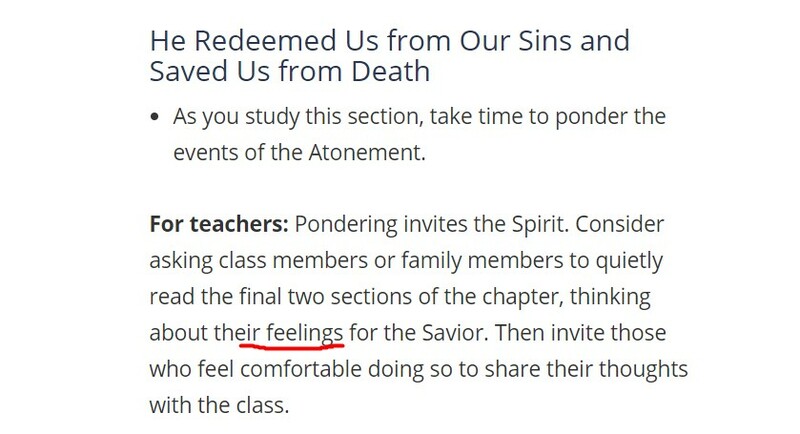 I guess teaching the lesson on the Life of Christ to the class from my heart with some quick references from the manual had brought back all my feelings of my past experiences about learning of the Savior's atonement! I didn't have much time given to me to fully share about what I knew and experienced about the Atonement and was impressed to share a critical knowledge I had gained as early as in 1980 when I was a new convert to the Church. The full-time missionaries in my University town of Geelong Australia had shared with me a cassette tape by Cleon Skousen of his experience in his study of the scriptures when he was a young missionary in London in 1920s, inspired by his Mission President, John Widsoe, who later became an Apostle. He was a very good motivational speaker who taught me why Jesus had to suffer all the pain when an all-powerful loving God or Heavenly Father could have merely forgiven the sins of Man by himself in the last days of judgment! I spoke about the essence of the reason which may help some new members or even old members who might not know the true reason as many are only touched by the love of the Savior who was willing to pay the sacrifice to save us from the punishment for our sins. As I have always been a logical thinker, analyzing all types of principles or reasoning, I could understand what Cleon Skousen was explaining which was something I knew no Pastor or Preacher of any other Church would know why it was necessary and that an all-powerful God could not have done it to let his only begotten son whom he loved greatly to suffer instead for the blessing of all his children. 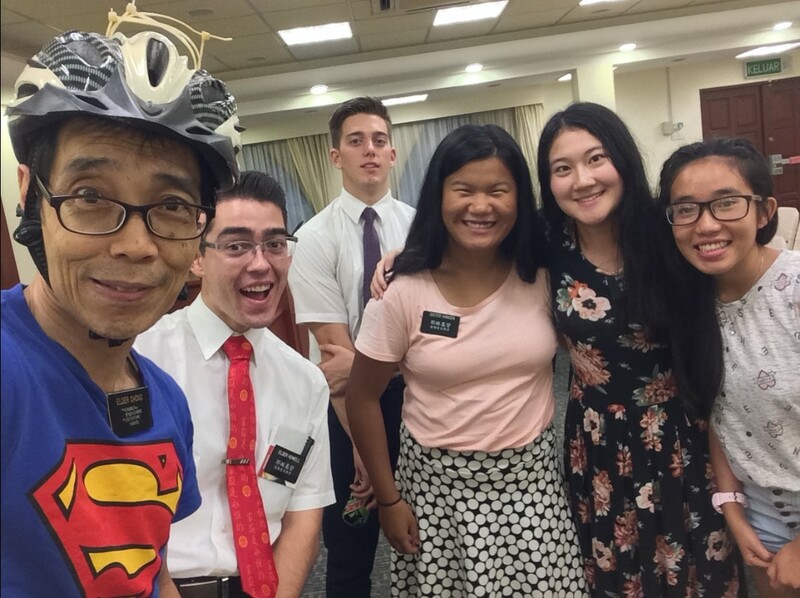 Play the video to hear the motivational talk and view the photos sent home by Elder Shuan Chong in his 2 years of service. I have always been a busy bee in my life, from a slow starter in education to accelerate to a level where I was winning prizes or rewards but that isn't the most important thing to me. I was requested by Elder Montague, representing the missionary couple in charge of Public Relations to cover this visit of Professor Dr. Brenda Hong. I got there just past 3pm to set up my camera equipment and microphone to record completely on video a couple of her sessions on Saturday afternoon which will be most likely shared on my blog posts where long videos or writings are always shared while links to it can found on Facebook for anyone interested to see longer videos and my commentary such as this one. She had written a book with the title Failing Up! She shared her story which I may share later below when I have edited the video. I had already purchased her book pdf version for USD9 online earlier before she arrived. 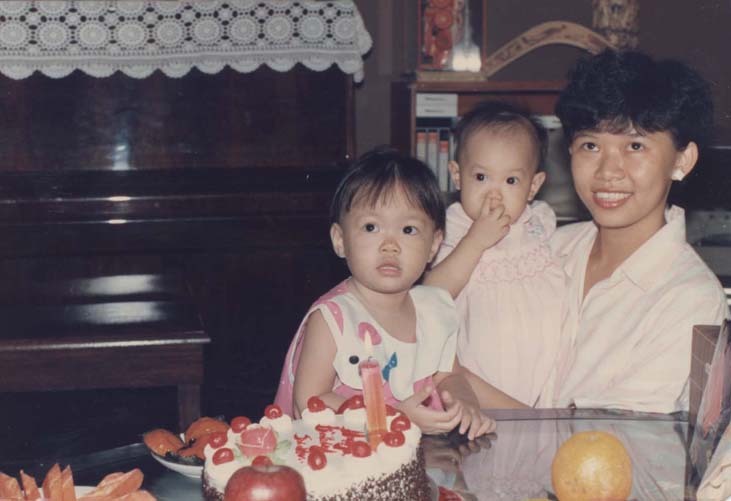 She shared her story of tough times to be who she is today and I was thrilled to know she had started writing journals of her tough life of an abusive father and poverty in Singapore to enable her to write a book. (Click here for a timed video to immediately get to the part she talked about her journals and how it was necessary for her to refer back to it to write her book.) 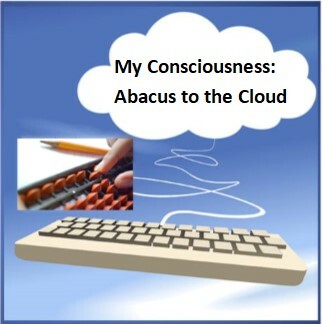 Of course, without my journals, my planned book entitled "My Consciousness, from the Abacus to the Cloud" for a world audience, particularly the US and China, would not be possible. So I was thrilled to hear her story shared personally in a fireside presentation at Church. As I am reading her book, I like to quote a little part of how she and her team won a debate where they were in the finals with a topic, "The Head should rule over the Heart." Personally, I love debates that started in the school days but I didn't focus on debates as my main school activity as I wanted to be an all-rounder so I spent a lot of my free time to be active in all kinds of sports including Karate. Then I was also a social person going on at first bicycle and later motorcycle trips with friends, fishing and camping where I didn't stop these interests throughout my lifetime! I even joined the Toastmasters International club as a family man with 6 children to enjoy public speaking and sometimes debate competitions as a variety. You wouldn’t think such a simple sentence could arouse such endless discussion, but it does. We gather immediately after school at the usual spot in the community center and hash the subject inside out. Alvin, who prides himself on being a rationalist, presents a compelling argument on how and why this is true. No way. I refuse to believe we’re going to lose. The head should not rule over the heart! We have come so far, beating five classes in the last month. Surely that says something about defying the logic of the head. We believe we can win. We must win. I won’t accept failure since the start of the debate and it sure is not going to happen in this final round. We put in hours every afternoon to prepare. I pray and hope that we won’t make fools of ourselves. No matter how we’re going to stumble, we must at least land on both feet and do our class proud. What does that tell us? Our passion is stronger than our brains combined. We’re not about to give up on this last question no matter how uncertain things appear. I do what I can and write out the research for each team member. 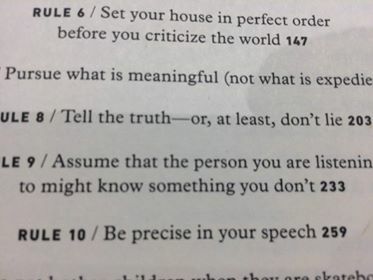 I go through all of their pointers to make sure we’re all on the same page. Every day, we read, write, dispute, compare, argue, and role-play. We eat each other’s lunches and drink each other’s soda. We laugh, we yell, and we get on each other’s nerves. These are unforgettable afternoons and evenings, and we feel ready to take on the opposition. On the big day, as each team walks onstage in the assembly hall, the roar of applause soars through the crowd. We sit tall in our seats and brace ourselves for the battle of our lives as the voices of the underdogs. We want to prove everyone wrong. As the moderator calls my name, I’m nervous, anxious, and excited all at once. I try to hold myself together and deliver a well-rehearsed argument full of audacity and eloquence. “It’s a far more superior ethic to let our heart tell our head how to live. Anything short of that, and we’re not true to ourselves. Our head gets clouded with too much logic, too many predictions, decisions, motives, worries, rationalizations, and judgments. Just look at the blunders men make when they don’t ask for directions.” The crowd roars again in support. The audience laughs. The opposition team can’t hold themselves back, and they laugh, too. With full gusto, I argue every opponents’ points. I can hear cheers from my team on the side of the stage. And then it happens. Our awkwardly shy and unglamorous commerce major team defeats the all-time literature class. “Oh my, Barbara, once the four of you got started, there was no contest. You all spoke with so much passion, definitely from the heart. Congratulations!” Mrs. Tan declares the winner. Each team member receives a trophy engraved with our names. This is the first time I have ever won anything, the first time I have ever held a trophy, and the first time I’m publicly recognized. I can hardly contain myself. Weeks following the debate, the four of us are still treated like celebrities on campus. Our schoolmates on the third floor cheer us on for having beaten the snobs. Even the teachers begin to regard us in a new light. Of course, the second-floor losers refuse to concede even months after the debate. I don’t think they ever will. I have never experienced such triumph. I understand now what it means to be a positive leader, to listen to each other, and to enjoy the fruit of teamwork. There is a sense of solidarity, purpose, and resoluteness." I shared her writings above as it is about the Heart versus the Head or Feelings versus Thinking which is relevant to this journal post that highlights about Love and the Law. Love comes from the Heart and the Law is from the Thinking mind or our head! A long post with an ending to justify my 'Long-Windedness"
My capability or intelligence and longwindedness in writing, and even talking, have a close relationship. I woke up at 4am thinking about why I have become a longwinded person and was it a good thing for me or not. With the capability of the Cloud computing, I can now summarize it below without my longwindedness to share it with a brother of mine who remarked I am longwinded, as many have expressed since I was the youngest kid in my family. However, he did say he read a link I've shared with him on WhatsApp about my walk through a park in Geelong Australia, being one of the cited miracles of my life that have become countless today, even in writing this post in my spiritual blog today. As I'm writing this, I am reminded that he was the only brother of my family who asked me in the car at the time when I first came back from Australia, why I chose to serve a voluntary 2-year mission which was shared with maybe some longwinded way to him. That answer was first written in my personal book journal and paper notes I have kept to this day but digitized it today to be found here. 3. I found his name while researching about long answers or longwindedness in the link provided here. https://bit.ly/2LFsgbf Click his name given as a hyperlink after you have clicked my link given if you have the patience to read down the Quora passages to appreciate how he answers the question "How do I get over my bad habit of procrastination?" With the three points shared above, I will always share this to anyone who may want to know why I was longwinded even when young to enable me to enjoy my life's myriad of experiences in family business or church read by clicking here. 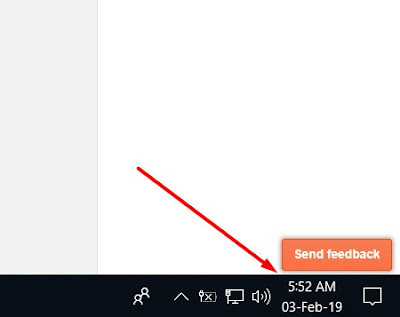 Okay finished at 7.06am as per screenshot below if you trust me enough when I said I started the summary at 6.26am. Remember I am the Chartered Accountant who gave up false auditing to switch to a rising star industry of Information Technology! You can read my unique resume here. Well when I made the screenshot after I typed 7.06am, the clock turned to 7.07am, a miracle to be recorded in my Stories of 7 you think? Off to the JW Marriott to have a nice Sunday morning breakfast with my good friend visiting from Utah before we go to Church! 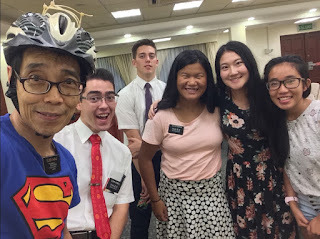 Note: The above video of Dr. Barbara Hong's talk was only inserted on 7 Aug 2018, coincidentally after I said goodbye to the same good friend from Utah mentioned above! We were walking around after dinner at the Pavilion and ran into a couple of our KL branch missionaries looking at the cookies. I took a quick snapshot of them with my friend! He leaves KL early the next morning! I really live a full life every day with something useful to do always. 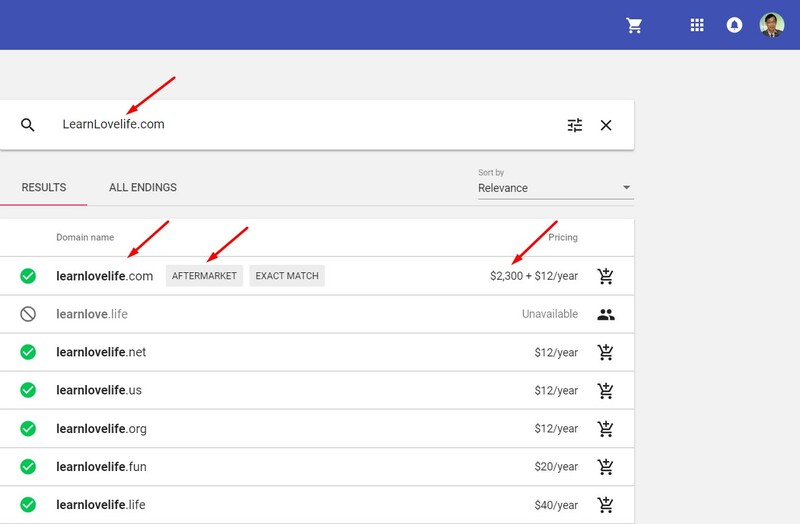 (Click here to see what happened the next day. )Therefore with my small Sony camera that I carry around the world in my sling bag, I can easily capture visuals for my Chronicles that covers small and simple things which I do that becomes amazingly big and happy sometimes which may even lead to huge accomplishments of my life that I had never expected. I just know I must continue to Love others and do my best to obey the Laws given to me from a kind and loving Heavenly Father. 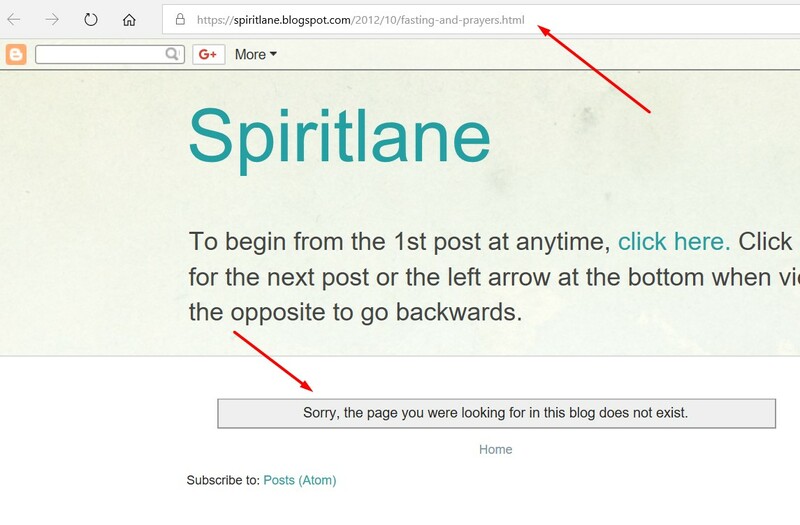 I have an utmost appreciation for his only begotten Son who has touched my life for good, after learning of him from missionaries who knocked on my door in Australia that began this whole Spiritlane blog starting from here. I am no perfect person for sure and appreciate all the Savior did to allow imperfect men like me to be forgiven for our sins or mistakes in life. This long post on the atonement that I could do because of listening to the talk on a cassette tape that was shared with me in 1979 and finding it again in 2018 online is a long wait and surely a blessing from on high like the stars in heaven to guide me while I am here on earth! CLICK HERE to scroll to the top to see how my Consciousness enabled me to understand the role of the Love and the Law of God in my life. Close to the end of the year of 2018, 5 days from Christmas, I had recovered from a very busy last quarter of the year to complete it with the continued writings of my journals and working on my planned book to be published entitled "My Consciousness, from the Abacus to the Cloud". I was completing the journal post of a school reunion to share my experiences in organizing the year-end event of 8 Dec 2018 and mentioned how Serendipity or Synchronicity was experienced in my effort to gather many old friends to attend the reunion planned. 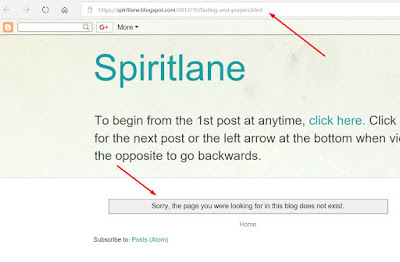 It is from that post that with a link to click will lead readers to this section of a long post to cover an understanding of Serendipity or Synchronicity. It's a feeling or experience of everything coming together just as I'm writing now, jumping from one post to another, gleaning from one video to another of a different topic like below and yet I'm able to see the linkage or the meaning of everything I'm seeing or experiencing. This is not the first time I'm experiencing this but it doesn't mean it comes easy. I think I must be just trying hard enough to repeat the right combination of things I'm doing, whether it's physical, mental or spiritual to reach an optimal point where I can clearly see the big picture or what truth or reality is or will be. This is the moment I have described when everything comes together for me. Take this post for example. It is purely a journal of my findings, experience, and thoughts. The topic is standard theology of the Christian faith that many take for granted. 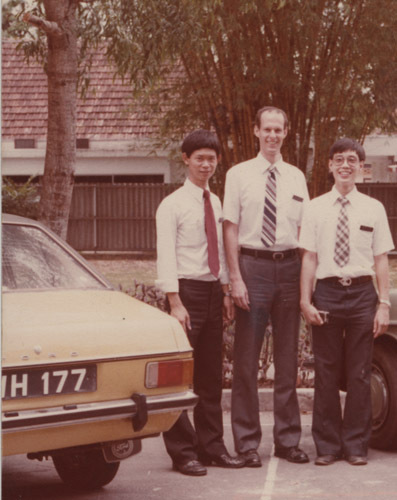 Yet about 40 years ago, I had listened to the cassette tape an American missionary loaned me to learn of the unique doctrine that Cleon Skousen discovered. How difficult it was for him to study the scriptures himself to try to get an answer he was seeking for. He needed the guidance of a spiritual leader who was his Mission President named John Widsoe, which he received when he served as a young 17-year-old missionary in London. He wasn't given specific scriptures where to read but was given hints as to where to study in our Scriptures or the Standard works to understand why it was necessary for a Savior to actually die and suffer for the sins of all men instead of a Father in Heaven that could just forgive his children. It took him 7 years to find the full answer where everything came together for him. I may not have found what I have shared above if I didn't keep working to write my journals and do my own research using the tools of the internet available to me today too. 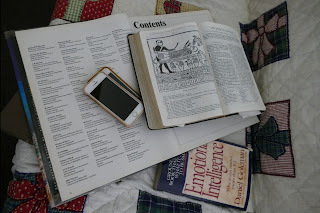 I had also learned to put together the soundtrack to a video above and lay out the scriptural links in order of what Cleon Skousen was explaining so a reader can have a scriptural reference handy. One can click here to listen to the video above of his interesting experiences with a very good explanation of why Jesus had to suffer and die for all Man's sins. No Minister or Pastor can share this very enlightening answer and I had wished many times I could buy that cassette tape when I was on a trip to the US as my long flights from Malaysia would usually land in Los Angeles which was just a short flight away from Salt Lake City where I would usually head to. I never found it as it was a very old recording that was not sold in the Church stores anymore and whoever I asked as member friends did not know how to get one either. 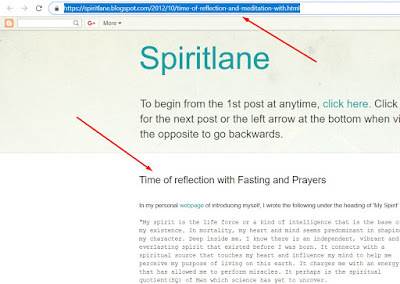 So in all my efforts to enable Life Long Learning, seeking spiritual knowledge as well as secular knowledge, making efforts to summarize what I've learned in my journals so I can access them again in future, everything just seems to come together for me to that I could create this journal post. With the topic of Christ atonement well covered in detail supported by a combination of scriptures that I have read and gained a special experience of everything coming together to make good sense, I could understand why the mystery to the world of the mission of Christ remains and would lead to more documentaries, seeking answers from science or history to make sense to many in the world today. Take for example of the above video I came across to view a few days ago. It is purported to be a BBC documentary using a clear explanatory style that the BBC is well known for, capturing narrations from qualified presenters with impressive or convincing intellectual evidence/of pieces of history with dates and impressive visuals. How does that measure with my knowledge of the restored Gospel of Jesus Christ, of my years of an inquiring mind to acquire deep learning starting from a time period where I could only have hard books and documents to read and at best have some tape recordings of someone of his divine experience with no access to it in later days? When I didn't have the technology, I had something years later that famous writers called it the SECRET. Click the link to view the full movie on youtube to learn about what it is all about. Below is a video about Carl Jung to show how a well-known psychologist helps to use his well-accepted theories to influence the acceptance of Christianity. My interest in Carl Jung came about to realize he was the man who created the term synchronicity shared here. His name is mentioned by Dr. Jordan Peterson who is a professor of psychology at the University of Toronto whom I've been learning about recently online. 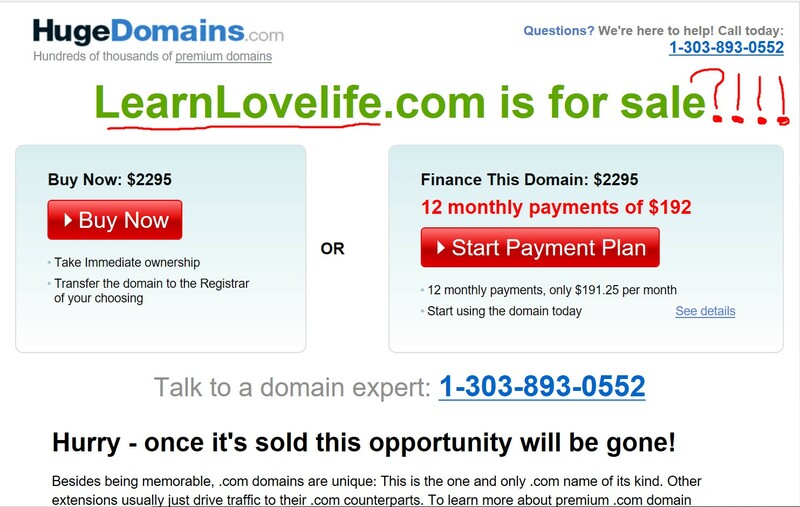 This is a benefit of our modern technology to facilitate my interest in lifelong learning. Synchronicity was something I had a greater awareness of when I started writing my personal journals seriously. 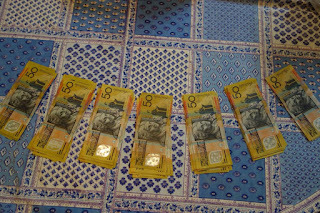 This was when I was turning 21 years of age which was when I also first began to accept the Savior in my life and follow him and his plans for me while I was in my final year in Australia. I would maintain this habit till my age of 60 at this point of writing with one difference compared to about 40 years ago. Today I have all the advanced media tools to express myself as well as to access all kinds of information to share either created by myself or by others that I can say makeup what is my state of Consciousness or Awareness today. This awareness will cover the tripartite nature of the soul named by Plato the Greek philosopher as Appetites Reason, and Spirit while when I started writing my journals, I saw them as the Body Mind, and Spirit of the human being I was observing especially of myself whom I would be most familiar with and later observing others to compare their consciousness with mine to make my own analysis and eventually compare them with the labels created by the world. Labels are part of the language that humans use in our imperfect world with imperfect languages no matter which country it originates from. 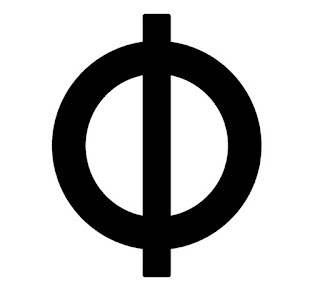 It doesn't really matter as I believe there is something such as collective unconsciousness that like the movie 'The Secret' mentioned above, suggests that we can connect with others subconsciously because we are receiving communication from one power source who/that can be labeled in different ways in different parts of the world. Dr. Jordan Peterson was one man I was attracted to, to spend a lot of time as you can also, to google his name in youtube and listen to all that is captured on his lectures, interviews, and views. I discovered he is truly a real scientist from Canada who has beliefs and views very similar to mine and became a real inspiration to me at the last quarter of 2018 when I became the busiest but achieved a most fulfilling time of my life when the Body Mind Spirit of my soul enabled me to feel the experience of everything coming together again. 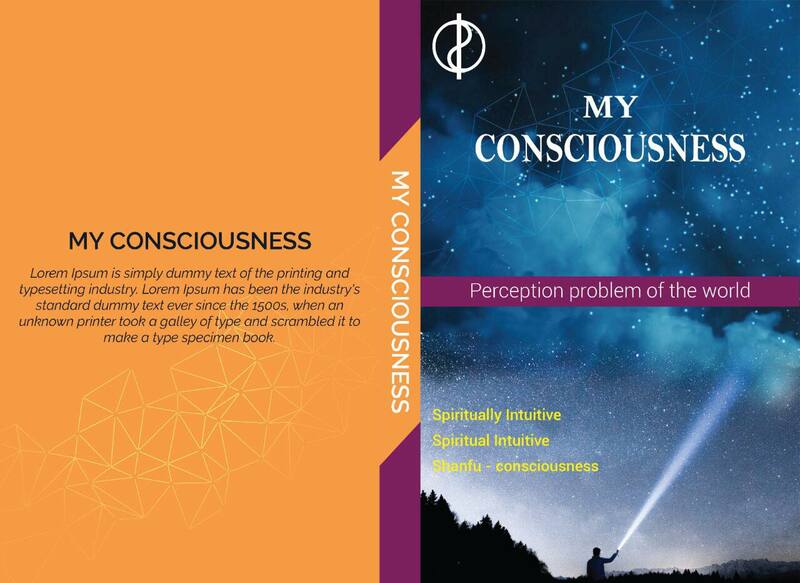 This was especially to know that the book of My Consciousness is meant to be published at the right time today in the fast-changing crazy world of ours. Before I had even heard of the name Jordan Peterson, I was already inspired to publish my views on the LGBT subject a few years ago that can be found here. I will buy the book of Dr. Jordan Peterson as the new book to read at the start of the new year of 2019. As the current year ends, I did finish reading the book I had bought of Dr. Barbara Hong, whom I've also referred to with a video included further up above where I had shared some quotations from her book. "That summer, my family and I moved to Hawaii and resituated ourselves back in the place we've always wanted to call home. I still couldn't believe how everything managed to come together in a timely manner for me to join the faculty. I never thought in my lifetime that I would get the honor to return and reopen the very program that Dr. Jackson and I had initiated, except this time I'm the professor!" I smiled feeling happy for her and was glad I found the time to read her book completely, to find those words of 'everything managed to come together' before I switched off my bedside lamp and continue to dream my dreams for the night. A surprise Facebook private message to me from Barbara, just after I just finished the above writings emphasizing that 'everything managed to come together', early on Christmas morning in Kuala Lumpur, shared in my Facebook timeline here. Something urged me to leave my apartment on New Year's Eve. I've forgotten in all my life, celebrating a New Year was more important than celebrating my birthday which only very few people know, except my family, as it is kept private by me. I would have been happy to stay indoors as for the last quarter of the year, there was a heightened pace in social/family meetings and I needed time to continue finishing my book writing project alone. 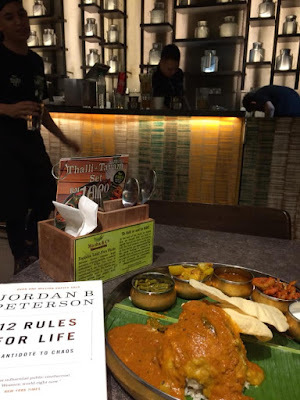 I had been wanting to get Dr. Jordan Peterson's book for weeks/months but there were no large bookstores in the city near me and only knew Mid-Valley had one as well as at the KLCC area but I was reluctant to go to those places as it's always a bit chaotic there with too many people and traffic jams! So like everything else in my life, if the feelings come, I will just drop everything and follow the inspiration no matter how detailed a planner, worker, and writer today that I can be! Maybe that is why "everything managed to come together" often in my life, so I just took off to get it. 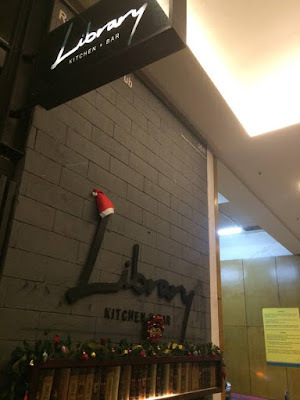 I felt the bookstore at Mid-Valley would have a greater chance of having it and the trail from my apartment is more direct without any traffic lights as compared to going into the city center where the Petronas Twin Towers are located! I got on my motorbike to speed off to get the book! The book costs RM89.95 and I got a free membership card with the purchase that enables me discounts for a year if I bought more books. I usually buy several books at a time at a bookstore but as I've been traveling a lot in past years with lots of books in my personal library to read up for my research to write my book on Human Consciousness, I began a trend to buy fewer books and read more online too. For instance, I bought Dr. Barbara's book, mentioned above, online to read. The membership card would be handy after my book writing project is over as I will buy more books outside the topic of my already well-covered research. I found a nice quiet place to enjoy a vegan dinner at the mall itself to start reading my new book. I perused the content page and got to read the forwarding pages. I knew why the rules were optimal as I have already been applying them in my life as I call them "Common Sense Factors" derived from the initials of my full name CSF! As the noise got louder at the Library nearby, I went to investigate and captured this video inside! Then I heard a burst of fireworks outside and captured it too with my iPhone. Wow... I was thinking about the evening. I went there just to get my book. It started to rain so I decided to have dinner there in a quiet restaurant where I can start to read the new book. I got more in returned than what I had intended. If I wanted fireworks, I could have gone to the KLCC to see the fireworks like in previous years but they don't have a convenient place like the Mid-Valley to park my motorbike just by road outside the mall. Neither did I feel they may have the book I want and didn't like a slow ride into the city with all the traffic lights and jam. I got more than what I bargained for. If I wanted a countdown, I could go and find my lady friends who love to countdown at some special place as they usually do. Talking about lady friends, it triggers off a memory of what happened earlier on the same day. I rode my bike with a plan to drop off my iPad for service in a mall near our KL Times Square which is near my apartment. After that, I was going to a hardware shop in the Pudu market area also near my home. It's one of those short trips into the city nearby to get supplies or anything I need. When I got out of the Apple shop to hop on to my bike, a fair Chinese woman whose accent told me she was from China quickly approached me to ask me for a ride on my motorbike to her hotel haha! I checked google maps to know where the hotel was and it was within the vicinity but I told her I need to drop by the hardware store to get something before I could drop her. She said no problem and would even pay me thinking I'm a taxi rider! Well, when I finally dropped her at the hotel front, she wanted to pay me and I refused as it didn't cost me anything at all really! She quickly grabbed something from her shopping bags she was carrying and passed me a box seen in the pic below to dash right back to her hotel doorway!!! My life is indeed full of stories and somehow "everything managed to come together" for me even in just a single day. Jordan Peterson's book is about rules to help the North American society and highly polarised people found in the western world caused by too much Politics, Wealth and Intellectualism or Individualism. One of the rules I will share to the North American market from my book that comes from an Asian author is this, "When you're Easy on life, life will be Hard for you. When you're Hard on life, life will be Easy for you." From a Chinaman writer living in Kuala Lumpur, even "Dad the KL City Kid." I started reading Dr. John B, Peterson's book I had bought which is very interesting and at the same time started to review some of his many videos on YouTube which are all very enlightening. He is a crowd puller in the Western world of North America and the English speaking part of Europe like the UK. I like serious readers interested in this topic to spend more time to make a comparison of this video below that is trying to explain about religious belief particularly in Jesus Christ to the video above that is half as long as the one below. I like to know which one is simpler to understand or makes better sense to you in the understanding of who Jesus Christ really is or what is the Christian religion about? You can leave your comments below. Thank you. In short, this is about a Sunday school session that is new for the first time at Church following the "Come Follow Me" manual and is also the 1st Sunday of the year for a reduced normal 3 hours meeting at Church to 2 hours only. I felt the Spirit during Sunday School that 'everything was coming together for me' in that first Sunday school lesson of the year. After Church, I was also given a new calling coming from the Area office to be the Malaysia editor for the Liahona magazine set apart by President Tolman from the District under the direction of Area Seventy Elder Woo from Singapore. Details can be read from this Missionary Work in KL branch post.